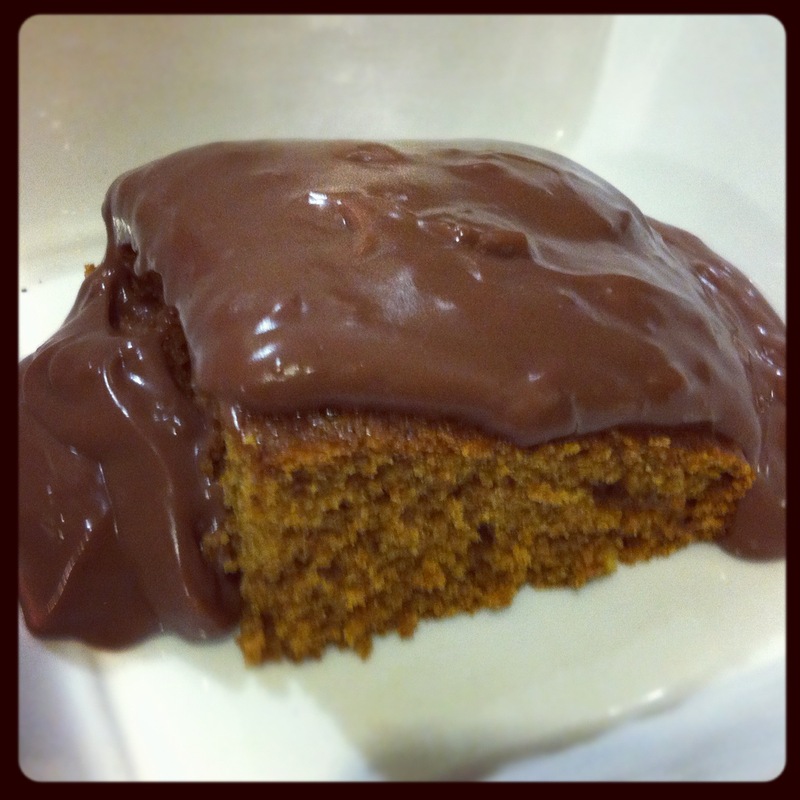 One of our favorite desserts growing up was what we called “Gingerbread and Chocolate Pudding”. My dad especially LOVES it. In fact, I think he thought of the idea in the first place! I know it’s an unusual combination, and may even sound gross, but I assure you, it is A-M-A-Z-I-N-G. I remember the first time I mentioned it to my hubby, Matt, he thought it sounded terrible. He changed his mind as soon as he tried it! Now a couple of years into our marriage it warmed my heart to have him request that I make this dessert for him last weekend. I won him over! The best part is, this is a very easy dessert – both the gingerbread and pudding come from box mixes. There is something so homey and delicious about this combo. It is a must-try in my opinion! Prepare and bake the gingerbread according to the box directions. Remove from oven to cool. Prepare chocolate pudding according to box directions. Let cool slightly then serve warm poured over pieces of gingerbread cake. I would love to know if anyone has ever heard of or tried this dessert before. Anyone? Thanks for reading and taking time to comment!